A new genetic evaluation was recently released by the American Simmental Association. Photo courtesy of Matt Spangler. The American Simmental Association (ASA) recently released a new genetic evaluation that includes multiple changes that seedstock and commercial producers alike should be aware of. Although there were changes to the entire suite of EPD, examples of key changes are listed below. Genomic information in the form of genotypes is now included directly into the genetic evaluation along with phenotypes and pedigree information to estimate EPD. This method has proven to be more accurate than what was used previously. 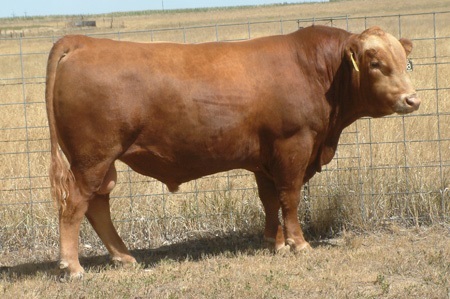 Using the same methodology adopted by the American Hereford Association, only a subset of DNA markers that are estimated to be the most informative are used. Although the resulting EPD are more accurate, the accuracy values associated with them have decreased in general. This is because the methods used to approximate accuracy before led to over-estimates and the new method to calculate accuracy provides more accurate values (think of it as more accurate accuracy). The ASA has published a multi-breed stayability via single-step for over a year. However, as additional breeds adopt this EPD it is important to realize the differences between the “new” and “old” Stayability EPD. The improved version uses a model that enables more data to enter the genetic evaluation and defines contemporary groups in a more sensible way. This leads to re-ranking of animals, but also to more accurate estimates of the genetic potential for the most economically relevant trait for those that retain replacement heifers. The carcass EPD takes advantage of true carcass data, ultrasound data, and early in life growth traits to mitigate the issue of bias from sequential culling (culling only the “bad” animals that later have carcass data). Instead of updated EPD being released twice a year, they will now be released every week. As the components of the indexes change (i.e., the EPD) the economic indexes will change too. For some traits in particular, the range of EPD has been shrunk. If comparing an animal’s EPD for a given trait before and after the new evaluation, be sure to also compare the percentile rank. The EPD may have changed, but the relative rank in the breed may have remained very similar. The ASA is part of a large collaboration called International Genetic Solutions (IGS) that includes multiple U.S. and Canadian breed associations. The other IGS partners will likely release updated genetic evaluations over the next couple of months. More information relative to these changes can be found at the American Simmental Association website and at http://www.eBEEF.org.